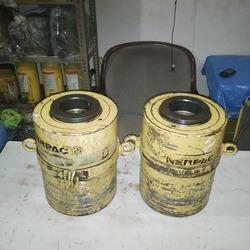 Suitable for Lifting, positioning, horizontal or vertical application. 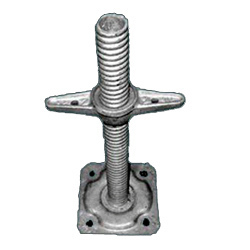 Used in heavy fabrication, ship-building and construction industries. We have Hollow jacks from 5MT to 50 MT Capacity and Pulling length 50mm to500mm For special application Customise according to the requirements. We offer a precision engineered range of Hydraulic Jacks like Hydraulic Remote Control Center Hollow Single & Double Acting Hollow Ram Jacks Capacity up to 1300 tons at competitive prices. These are manufactured using premium quality raw material which is for longer service life. · Hollow plunger design allows for pulling and pushing application. · Low profile and longer strokes fit in the tightest space. · Withstands full “dead-end load. - As hydraulic pullers with mechanical accessories for removing and assembling bearing bushes, pins, cylinder liners, pulling tubes of heat exchangers, gears and flanges of machinery. - As per / pre - stressing jacks in construction sites. Due to lack of space or access, sometimes cranes are not the best option for lifting and others systems must be used.Jacking systems can be an alternative for lifting objects. They are often used for the jacking of bridges and modules from construction height to its final position. The Sarens Group has several types of jacking systems in its fleet. Most of them are designed in-house.